To read and write data to the EEPROM is very easy because there is already Arduino’s built-in special library. The library name is ‘EEPROM.h’. With this library you can simply write a few lines of code just for handling EEPROM Read/Write because everything is done by the library itself. It’s very helpful to simplify your project. If you ever write a C program to ATMega using CodeVision AVR or AVR Studio, you'll know what I mean he he he. - EEPROM.write (addr, val) to write data to the EEPROM. Parameter 'addr' is the address of the EEPROM ranging from 0 - 1023, while the parameter 'val' is the value / data in the EEPROM address. Because only 8 bit data width, the data collected can only be 0 - 255. I will explain in more detail about this below. - EEPROM.read (address) to read / fetch data from EEPROM. Parameter 'address' is the address of the EEPROM will be read. Notice to the line 1. This line is to define a library in the sketch (mandatory). Line 11 is intended to divide the analog voltage data with number 4. Why is divided by 4? Because we know that the resolution of the analog voltage reading on the analog pins (A0 - A5) is 10 bits while the EEPROM data width is 8 bit only (please read below for further details about this). Line 12 is writing data to the EEPROM from sensor readings and lines 14 is reading back the data that has been written in the EEPROM and save it to a ‘address' variable. Next line (15 - 18) is to send the EEPROM data readout to a laptop through USB port (emulated as virtual serial port). 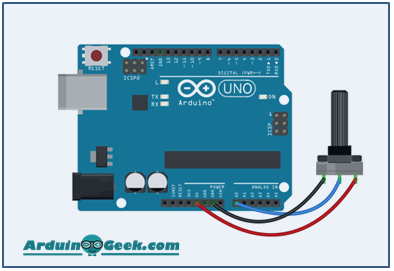 I hope you already know about how to read and write data to Arduino’s EEPROM sketch as explanations and examples above.